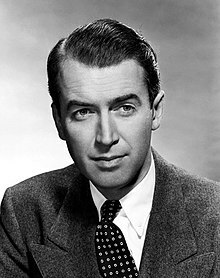 James Maitland Stewart[N 1] (Oṣù Kàrún 20, 1908 – Oṣù Keje 2, 1997) je osere ori-itage ati filmu ara Amerika to gba Ẹ̀bùn Akádẹ́mì fún Okùnrin Òṣeré Dídárajùlọ. ↑ Although commonly known as "Jimmy" by the media and public, Stewart always used "James". Àtunṣe ojúewé yi gbẹ̀yìn wáyé ni ọjọ́ 21 Oṣù Keje 2018, ni ago 07:51.